When I was small, I always wanted to own a linear tracking turntable. I used to drool over those linear tracking Technics and B&O turntables. 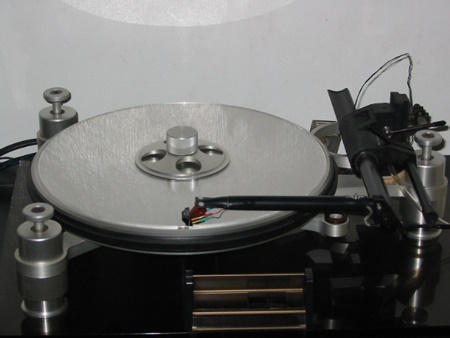 One day, the opportunity came- an Eminent Technology tonearm model 2.5 was offered to me. Of course, I immediately grabbed the offer, and I was so excited on fitting it into my Oracle turntable. The ET 2.5 was a bit beat up when I got it so I performed the cleaning procedures as documented. After that, the tonearm looks great! I've seen how the others did it on the Oracle but I was not particularly impressed due to awkward positioning of the ET in relation to the Oracle platter. Even the guide which I downloaded from the Vinyl Engine website was not to my liking. So, using the setup jig that came with the 2.5, I created a different mounting scheme. 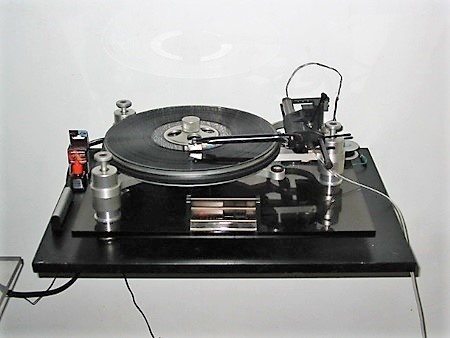 Here's the Oracle Delphi Mk I, now fitted with the ET 2.5 tonearm with Clearaudio Aurum Alpha cartridge. 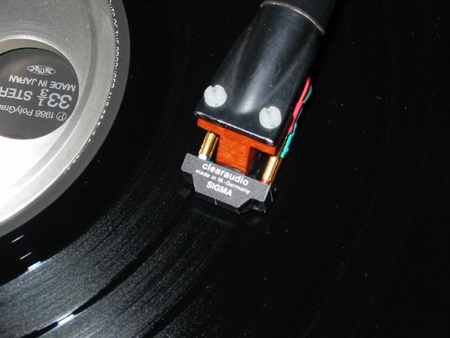 In order to introduce the proper balance while the tonearm moves from side to side, one must follow the spring recommendations as indicated on the Oracle documentation. Tony Boy de Leon, an audiophile friend was dissatisfied with this cartridge and wanted to change to another brand. So he sold it to me at a friendly price. Like a little boy with a new toy, I was so excited to have this mounted on my ET tonearm. This is my first experience on high-end cartridges! I searched the web and saw this review of the Sigma in TNT Audio. I experimented with replacing the stock Oracle mat with an acrylic one. I had it custom made by a friend. For one thing, it looks cool! But at the end of the day, it seems to make the sound a bit "hard."